The style pin-up for the season ahead? It’s none other than Queen Elizabeth II. The style pin-up for the season ahead? 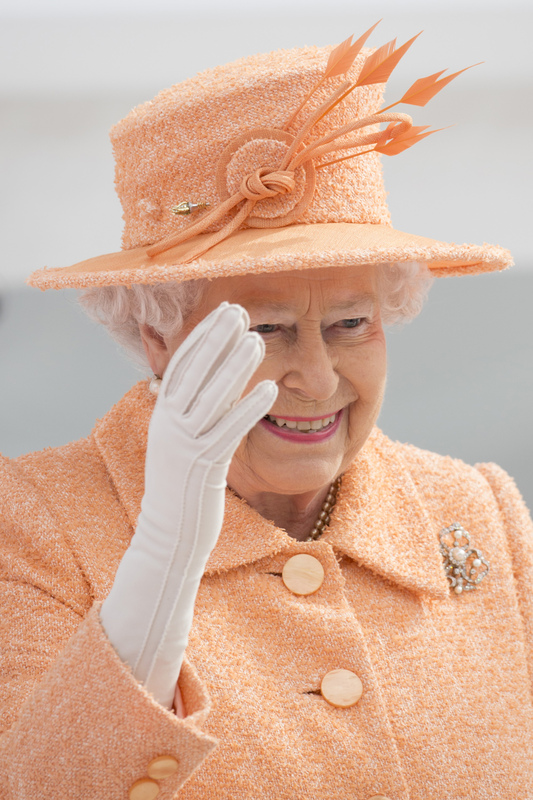 It’s none other than our longest reigning queen, Elizabeth II. 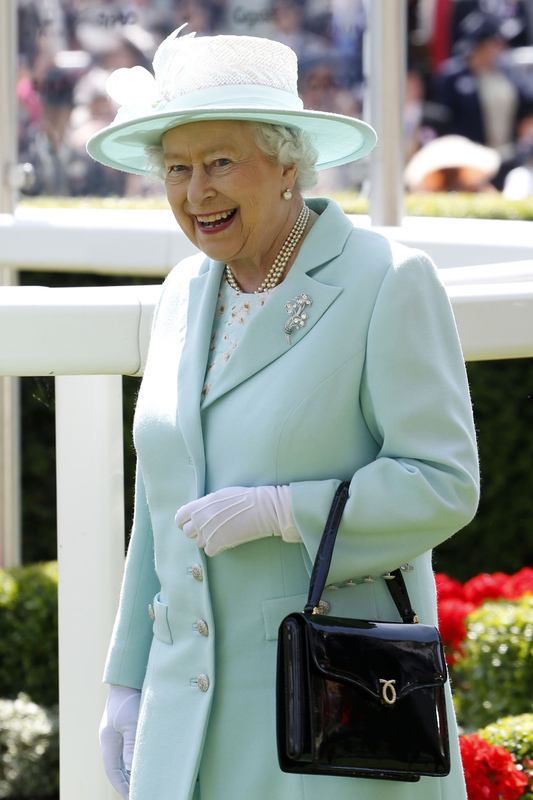 Her Majesty is bang on trend for AW15, what with her ladylike accessories, two piece suits and eternal commitment to a low block heel. So Miu Miu’s take on the ladylike loafer is a little more snazzy than the Queen’s go-to black pair. But you cannot deny that the shoe shape of the season is just so Liz. In sweet and sour colour combos and with oversized buckles, we’ll be teaming these with everything from jeans to minidresses. See all the trend-match catwalk pictures in the gallery above. 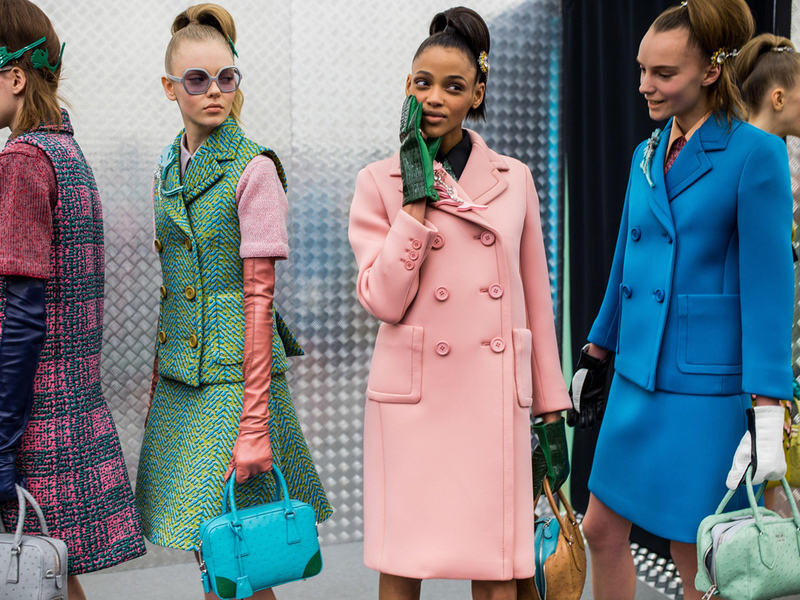 So Mrs Prada basically raided the Queen’s entire wardrobe for style references when plotting her AW15 collection, right? Her 50s debutante prom dress complete with opera length gloves? Tick! ALL her trademark accessories? You bet. 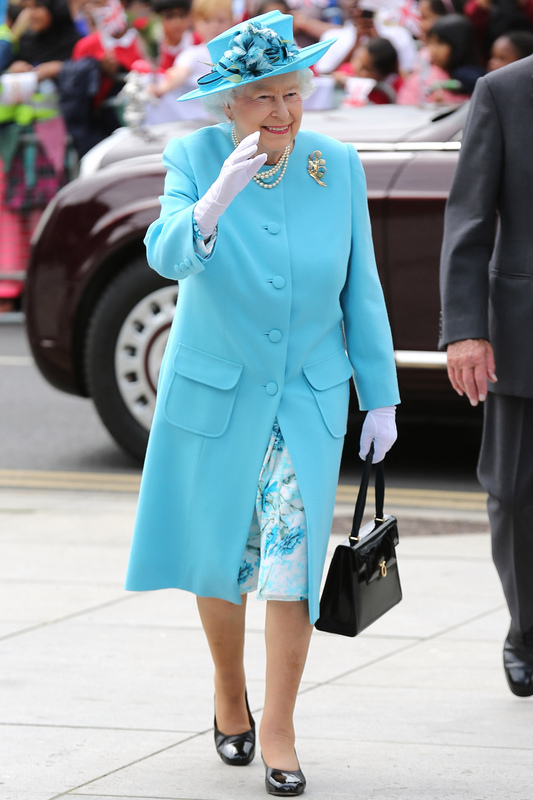 But best of all was Prada’s take on the colour block suits that our Queen has made her style signature. Break them up and pare down with existing things in your wardrobe or go the full Majesty and embrace the rainbow. Marc Jacobs, Alexander McQueen, Prada and more topped off their AW15 looks with a pair of supple leather gloves. Take your pick from driving or opera lengths and take your cue from the Queen by experimenting with shots of brilliant colour. Tipping the tiny trunk as the IT bag of AW15 were design heavyweights from Balenciaga to Marc Jacobs. But where did we spot this trend first? On the crook of our Queen’s arm, that’s where. The brooch is back thanks to Miuccia Prada and her Perspex floral masterpieces. Pinned onto double-breasted wool coats in candy colours, this, for us, is the special addition of the season. Wearing a single hue, top to toe, is sooo AW15. Our favourite is ketchup red, but, as our Queen has shown us time and time again, there’s a rainbow of opportunity out there to be explored. All hail our new season fashion muse!